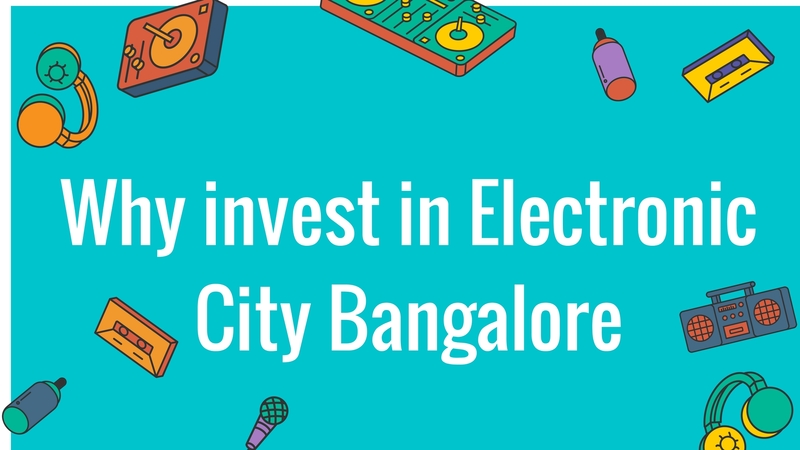 Bangalore is a beautiful city with an environment that is totally refreshing and exciting. There is something new to do every day at this large IT hub. Without a doubt, there is nothing that you cannot find at this amazing city in Southern India. The real estate sector in Bangalore has grown to a great extent over the years and has a lot to offer today. Competition between real estate companies also has soared to a new high today. Kolte Patil Exente Electronic City is the latest residential project in Bangalore by Kolte Patil Developers Ltd. that focuses on modern-day luxury, comfort and style from head to toe. Extended over a land of 4.04 acres, this residential development offers 1BHK, 2BHK, 2.5BHK, 3BHK and 4BHK luxury apartments and penthouses of different configurations. With large area sizes and floor plans, the perfect residential space to meet all your needs await you. 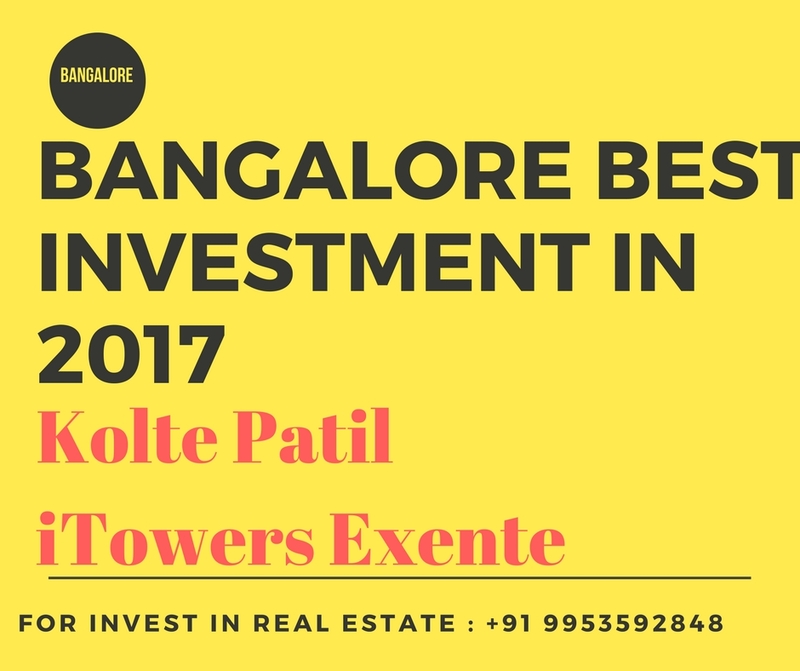 Kolte Patil iTowers Exente Bangalore is an elegant development that is well-endowed with the latest internal and external amenities that will be admired and appreciated for generations to come. The apartments are well-spaced, provide good natural lighting and contain stylish furnishings and fittings, Sal wood internal doors and Teak wood main doors, 3 track UPVC windows providing jaw-dropping views, plush kitchens with granite tops and dado tiles, vitrified flooring, wooden laminated flooring in master bedrooms, anti-skid ceramic flooring in utility areas and bathrooms, high-quality electrical sockets and switches, safety features and more. The external amenities at this development are simply incredible and will blow your mind. They include multiple sports facilities and a play-area for your kids, jogging track, swimming pool, gymnasium, library, café, multipurpose hall, convenience store, ATM provision, beautiful party lawn, landscape garden, power back-up and efficient security. 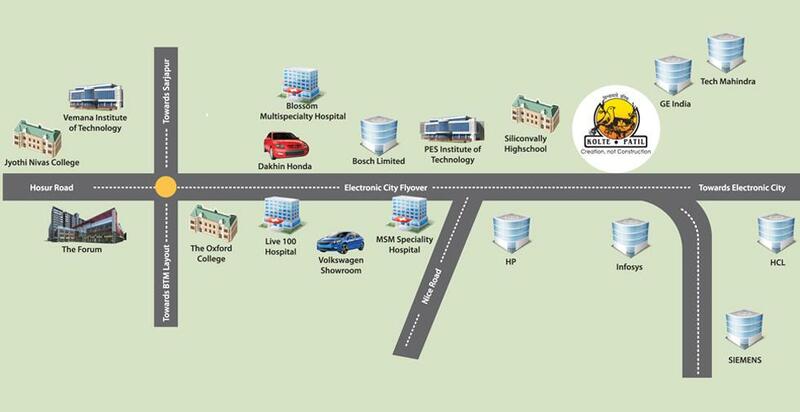 Located at Electronics City Phase 1 in Bangalore, this development does come in close proximity to several places of your daily life. Places like schools, universities, hospitals, medical centres, supermarkets, convenience stores, shopping centres, malls, banks, ATMs, restaurants, cafes, public transport and a lot more can be accessed in the shortest amount of time possible. If you are looking out for a contemporary lifestyle with lavish amenities that is light on your wallet, this is the place to be. 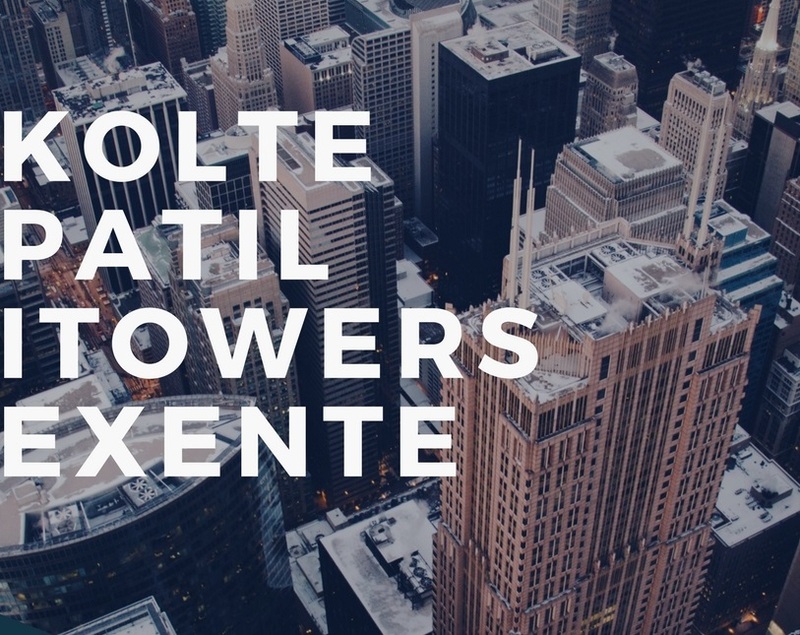 The Kolte Patil ITowers Exente price is affordable and offers the best deals to fit your budget perfectly. There are multiple payment plans that you can choose from along with home loan facilities through associated banks, NRI services, etc. for a hassle-free purchase. Bangalore is one of the top performing luxury real estate markets in India along with the homes for all kind of investors. The city is known as the “Silicon Valley” of India and has been one of the country’s IT Capital. The properties in Bangalore which has been on top list for investment by the NRI’S are TATA Homes, Spa Eco City, Umiya Woods, Kolte Patil and The North East Paradise Project which fulfills the demand of the luxury and the millionaires home buyers. Bangalore is known for its beautiful weather all the year around. Thus, it is also helpful in terms of potential investors who look to buy a home in this area. With Kerela sharing the boundary it is a great place for investment as many people go for a long weekend trip to the nearby areas. 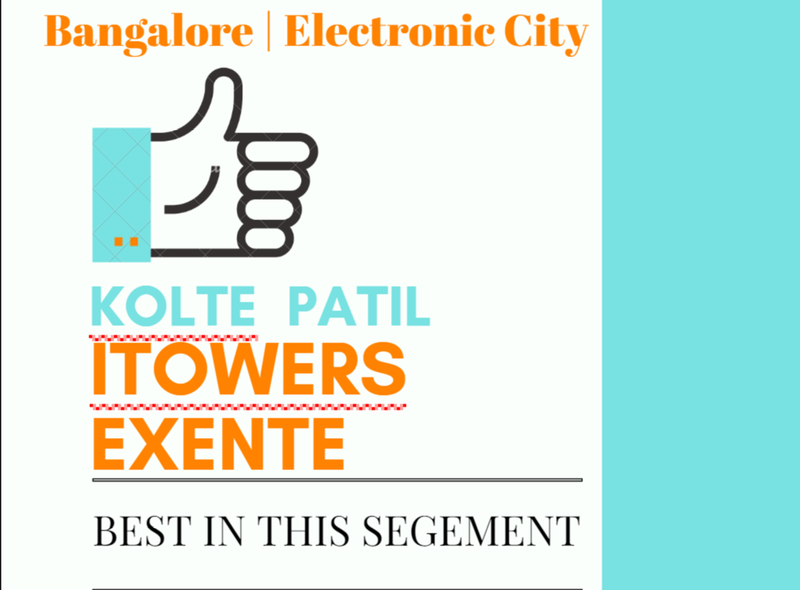 Kolte Patil Exente is one of the residential properties at Electronic City, where the homes are customized and built according to the latest standards set by the construction industry. It is one of the newly launched projects with completion in 2020 and is available in 1 BHK, 2 BHK, 3 BHK and 4 BHK. It is one of the best matching properties for the exclusive needs of the IT people as it is based in Electronic City and also the elevated highway is near to the city. Founded two and a half decades ago and guided by a simple yet profound philosophy; 'Creation, not construction', Kolte-Patil Developers Ltd. is one of the foremost real estate companies which is headquartered in Pune. Listed on NSE and BSE, Kolte-Patil is Pune's largest developer and the group has completed 1.4 crore sq. ft. of landmark developments in Pune and Bengaluru. It is also present in Mumbai with some upscale redevelopment projects. Headed by a team of visionaries and dynamic leaders, Kolte-Patil has till date built projects in multiple segments such as residential, commercial, retail, IT parks, and integrated townships. The long standing mission of the company is to dedicate itself to create spaces that blend in with the surroundings and exude vitality and aesthetic appeal, making the spaces present-perfect and future-proof. The core values of the company are honesty, innovation, excellence eco-friendliness, technology, sustainability, and value and commitment to time schedules that are perfectly aligned with the living and working spaces it builds. Vitrified tiles in other area i.e. bedrooms, kitchen, living, foyer etc.